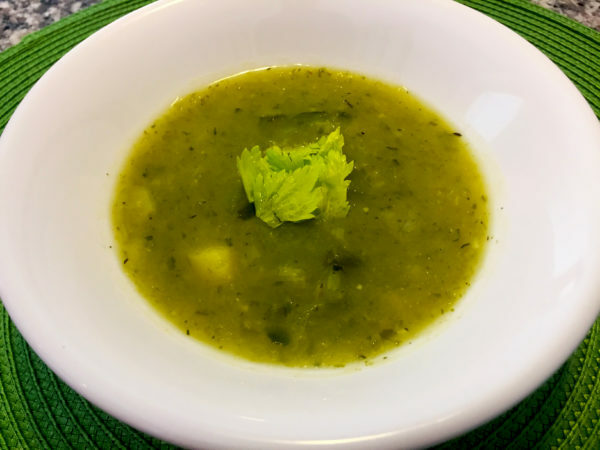 This Celery and Potato Soup Recipe is creamy and delicious. It pairs well with a delicious salad for a nutritious soup and salad lunch. Peel the potato. Chop the potato, onion and celery. Reserve some of the celery leaves for garnish. In a large soup pot heat 1/4 cup of the veggie broth over medium heat. Add the onions and garlic and sauté until onions are translucent, about 3-4 minutes. Add the remaining ingredients except the lemon juice and cook until the potatoes and celery are tender, about 15 minutes. 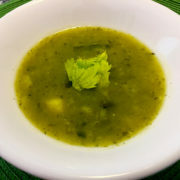 Transfer the soup to blender or use an immersion blender to puree the soup. Return to the pot (if using a blender) and add the lemon juice. Stir to combine. 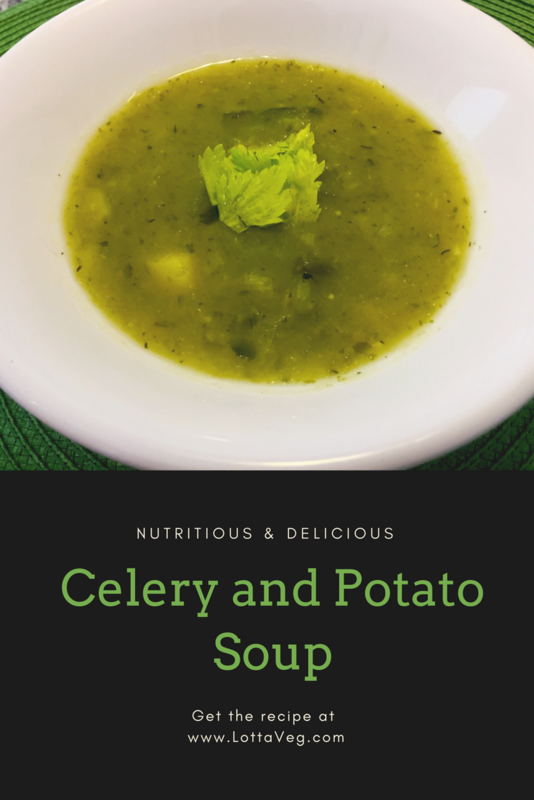 Garnish with celery leaves and serve with a delicious salad for a hearty lunch or as a side dish with your favorite meal. Serving size is 1 cup of soup.